We will be regularly featuring some of the very talented minds we collaborate with – both their inspirations and their quirky sides. 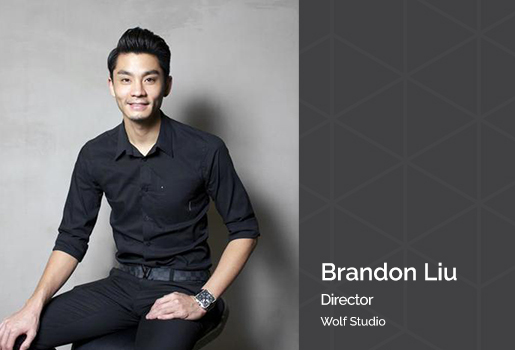 Let’s hear from Brandon the Director of Wolf Studio as he shares a piece of his world with us. Q: Bold Hues or Subtle Neutrals? A: Love Both! Depends on the application and context. Q: What is your favourite project to date? A: It would have to be the original Unilever headquarters in Maple Tree Business City. It was my first large scale project in Singapore done over 8 years ago and it's still there today exactly how it was originally designed. A: Project-wise I get it from wanting to bring joy to people through designing awesome places to work. Work-wise I get my inspiration from wanting to build something special with our design studio. We are always out to prove and improve ourselves. Life-wise it has always been family. Q: Are you a coffee or tea person? A: Both. Tea on the weekends. Coffee during the week when its needed most. Q: What is your favourite vacation spot? A: Sydney, Australia. Going home whenever I get the chance (a couple times a year) to see family and friends is better than any tropical holiday destination I reckon. Q: How do you start your mornings? A: My 2 year old son starts my mornings. Every single morning. Q: One thing you can’t live without?